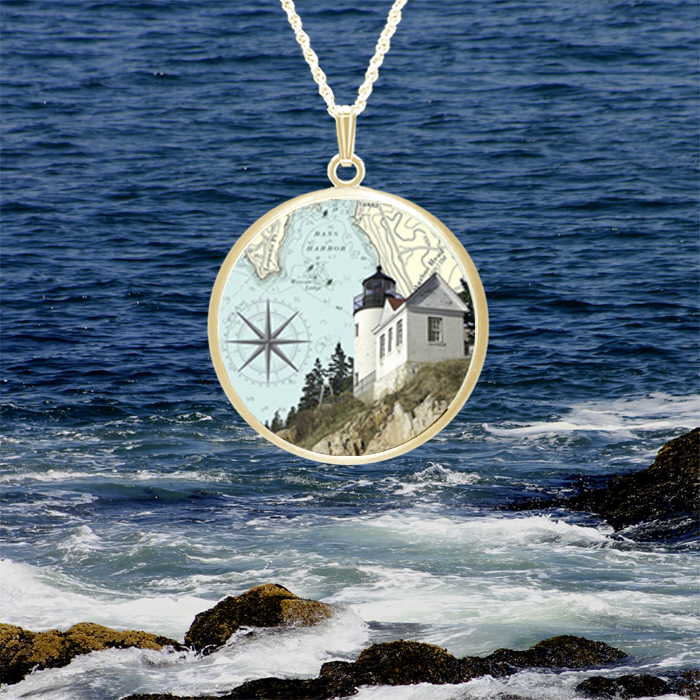 Lighthouse Jewelry, from our Pro Arte line, are custom pieces and can take up to 2 weeks to produce and mail. 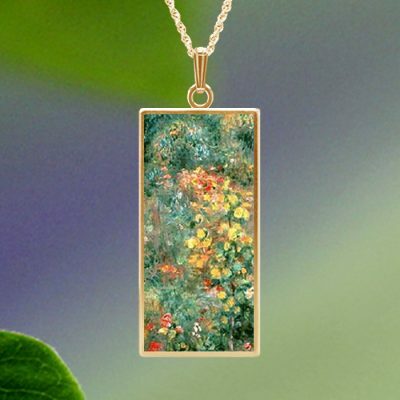 Pro Arte is a graphic line that is a cross between a lacquer and enamel process. 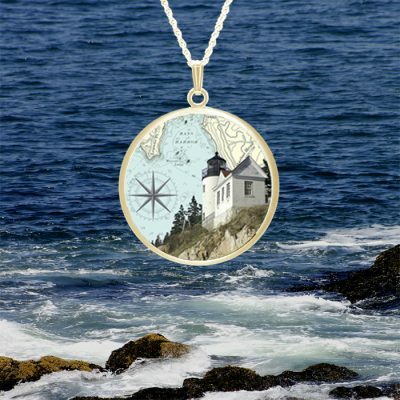 Images of the lighthouse with a nautical chart as the background are translated into heat sensitive pigments which are then fired onto brass plates placed in bronze settings and framed in silver or gold plating. 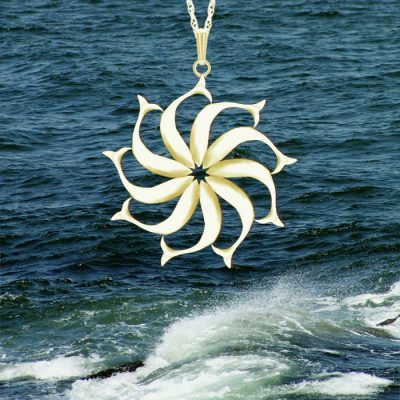 Chains are sold separately. 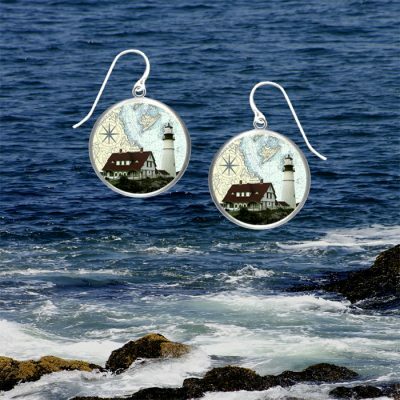 Earrings and small pendants are also available.